Most patients never meet the doctors who read their x-rays, CT scans, or MRIs, yet radiologists often make critical diagnoses that affect patients’ treatment. 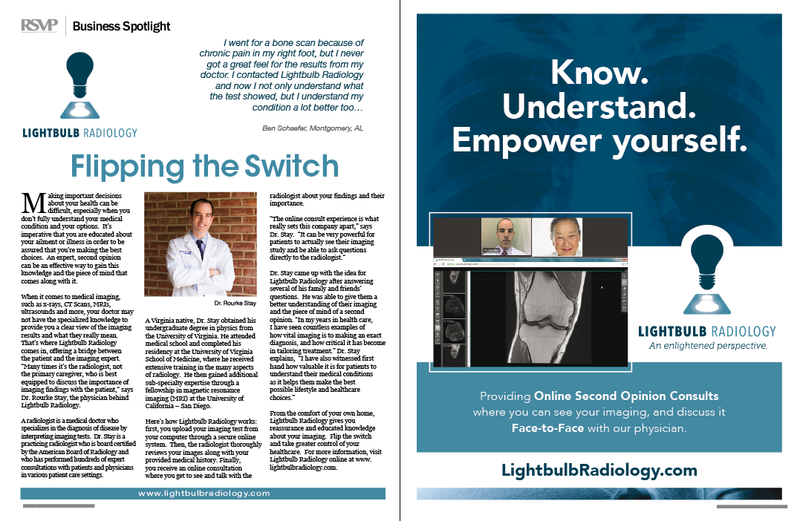 To help patients make sense of their results, Dr. Rourke Stay, a board-certified radiologist, founded Lightbulb Radiology, a Columbus-based service that provides online second opinions via GoToMeeting. Dr. Stay talking about Lightbulb Radiology aired on NBC News 12 WSFA this morning!